Just finished my first baby dress. 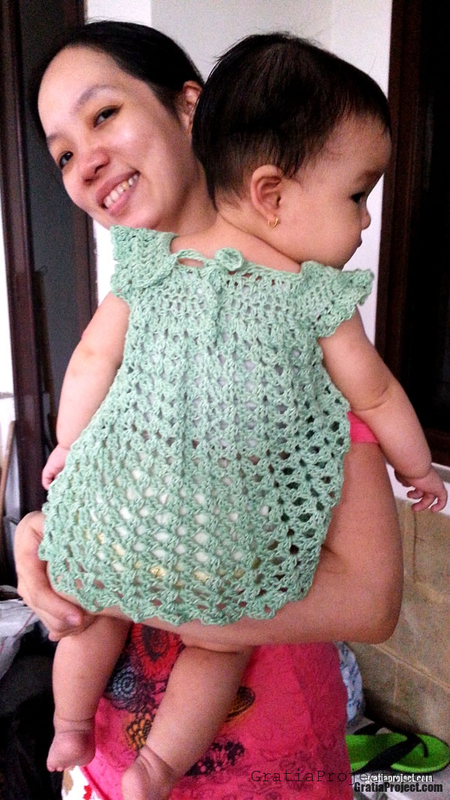 I used the edited pattern from Suzie, allowing the pattern to be worked in the round. 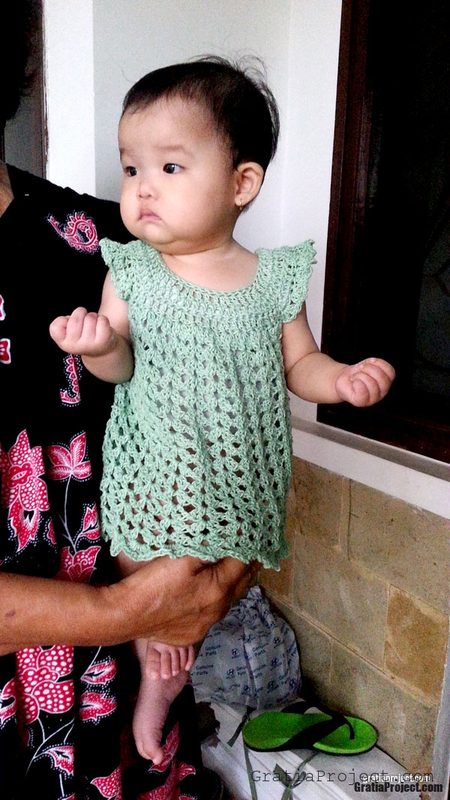 The original pattern, Angel Wings Pinafore is from Bev’s Country Cottage. 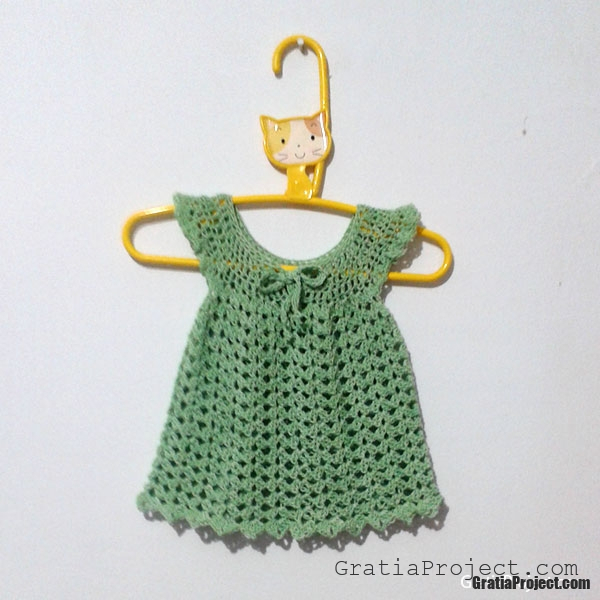 I used soft cotton sport weight yarn and 5 mm crochet hook. 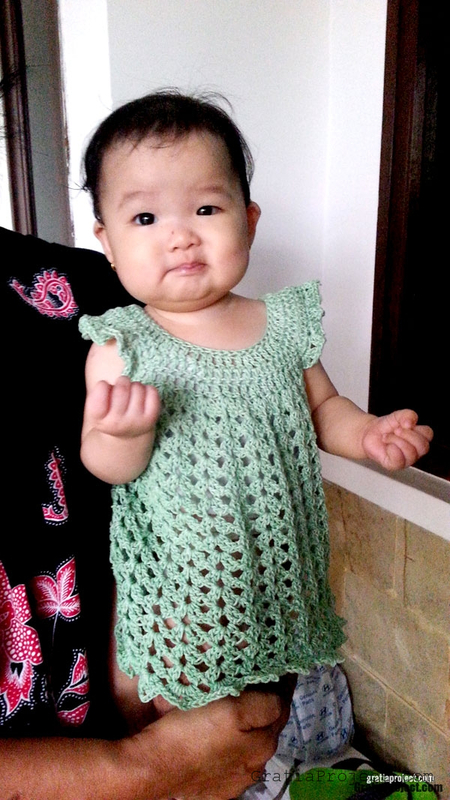 The pattern is made for 0-3 months old baby, but it fits perfectly for my 7 months baby Charlotte. I just add the length by adding couple rows. This is really easy, fast project, and fun to work with. 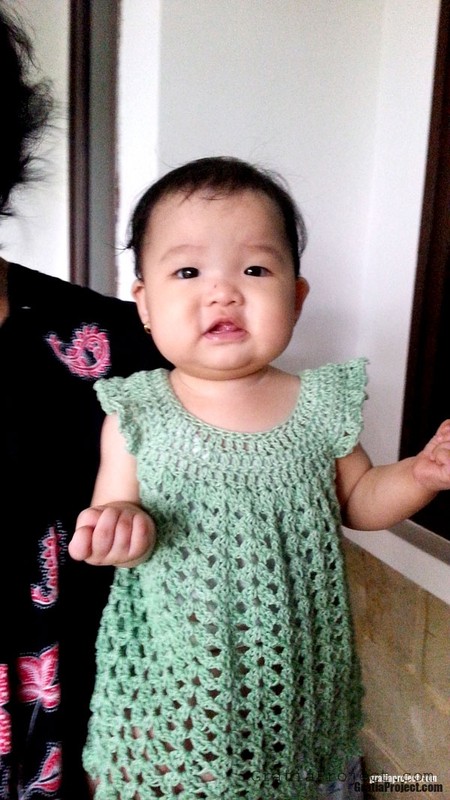 I plan to make another dress like this in another color for Charlotte.